KNX is a standard communication protocol for home and building automation system that was first developed in Europe in 1999. It has evolved from Batibus, EHS and EIB. By using the standard that has been created, products that have been certified by KNX can be connected to the buildings or homes that use this system. These connected devices can be controlled and monitored through a central system and data can be transferred freely on this network. The medium that the devices can be connected are as follows. Here are some of the vast applications that have been developed and used in this system. White goods such as refrigerators and washing machines. In the area of heating, ventilation and air conditioning systems, many electronic controls' manufacturers as well HVAC equipment manufacturers have developed a certain range of their products to enable them to be connected to this system. Many mechanical and electrical consultants have specified this standard in the design of the buildings. Hence manufacturers who are bidding for their products to be installed will have to comply with this requirements. In order to reduce the cost of the overall HVAC equipment, manufacturers usually build a gateway between the system and the HVAC equipment. In this way, only those equipment that need to have this interface need to place an additional module instead of building it into the equipment. This gateway will interface between the internal communication protocol of the manufacturer and the KNX. As this is usually not a standard feature in the equipment, a special request will need to be forwarded to the manufacturer and ascertain which of their products range can be interfaced to the system. You will need to become a member for your products to be certified and listed. Here are some manufacturers of HVAC-related controls and equipment that are listed as members of the community. Here is a video of the association and how you can become a part of it. The association is based in Belgium and your organisation can join to become a member to get the necessary tools and specifications in designing your products. Annual subscription fees will have to be paid to become a member. More details can also be obtained here. See the features of a typical programmable thermostat. Learn how humidity is removed from your room. 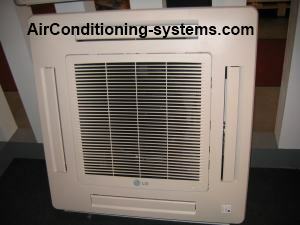 Here are the air conditioners frequently asked questions and answers. Clean your own air conditioner by using coil cleaner that can be easily purchased from the market. Check mobile apps for HVAC. How to choose an energy efficient air conditioner? Here are some of the common HVAC Questions that most users of air conditioners or heat pumps asked. Visiting HVAC events and trade shows are one of the best way to equip yourself with the latest happenings in the air conditioning and refrigeration field. See the listing of events for year 2019-2020. Here are some good HVACR scholarships that you can apply to help finance your studies in various universities.